Ellen van Dijk has won the European Championships Time Trial for the third time in a row. The rider was two seconds faster than her fellow countrywoman Anna van der Breggen. The Dutchwoman has won all three editions this event has existed. 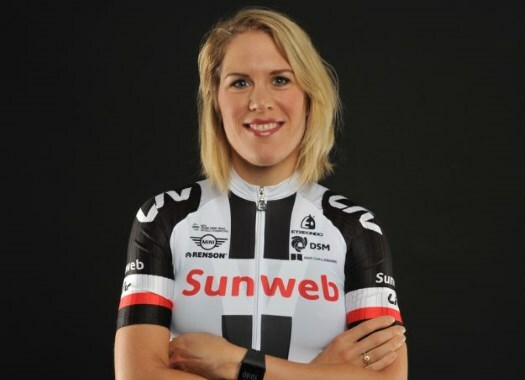 She completed the circuit in Glasgow in 41 minutes and 39 seconds, pushing van der Breggen from the hot seat, who had finished in 41 minutes and 41 seconds. German Trixi Worrack stopped the clock at 42 minutes and 48 seconds, which allowed her to step on the third position of the day's podium. France's Audrey Cordon Ragot and Denmark's Pernille Mathiesen completed the top five of the competition. "When I crossed the line, I thought Anna had won," said van Dijk at the end of the day. "I had no idea what the competitors were doing. I caught enough ladies on the way but knew that Anna would be my biggest opponent. "Whether I have taken less risk in the final? I wanted to, but I knew that the risks were necessary to set a good time. Apparently, it was just fast enough."